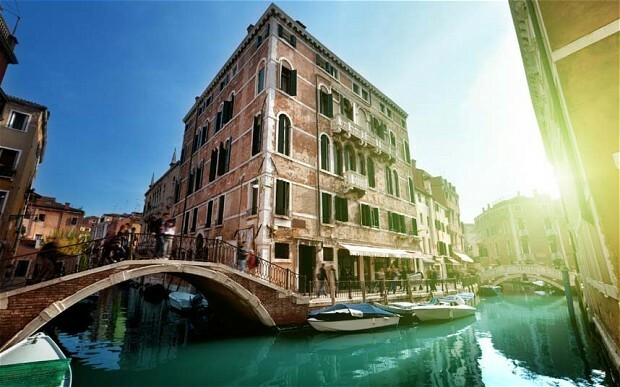 For the Jewish traveler, Venice, Italy is a treasure trove of history and points of interest. While many travelers picture only romantic canals and captivating scenery, the truth is that the history of Venice has a darker side that must not be ignored. Jewish people have been traveling to Venice for hundreds of years. Depending on when in history these visits occurred, the Jews were treated either fairly or quite harshly, based on the rulings of the day. One of the saddest yet most important reminders of their unfair treatment throughout history can be experienced by visiting the Ghetto Nuova. While some think only of World War II when hearing of Jewish ghettoes, the sad fact is that Jewish people know is that these places of prejudice and isolation existed well before the 20th century. The Ghetto Nuova is the first Jewish ghetto and it was established in 1516. It was during this time that the rulers of Venice held a council to decide whether to eject all Jews from the city. The ruling came back that they would be allowed to stay, but would be confined to what would be the very first Jewish ghetto in the world. Today, visitors can see the ghetto looking much the same as it did when it was first built. There are 30 Jewish people who today reside within the walls of the Ghetto, which includes three temples and several Jewish owned businesses. There is also a rest home for the elderly within the ghetto. While there are only about ten residents in the home, it is a popular stop for some visitors as the home provides kosher meals to many Jewish visitors each year. There is also a kosher store and a restaurant for visitors to enjoy while touring the ghetto. The Jewish museum holds Seder plates, spice boxes and many other items that were used both in daily life and during rituals. There are also memorials designed to remember the suffering that took place during the Holocaust. When you visit the Ghetto Nuova, you will find yourself standing in the spot where Jews were forced to gather in preparation to be deported to the concentration camps. As haunting as it is to stand in the square where this took place over and over again, it is also a testament to the strength and perseverance of the Jewish people. Depending on the time of year that you visit, you may be able to take part in prayer services in the Levantine Synagogue. This temple was built in the 16th century and still contains many of the original features. While some portions of the ghetto are better preserved than others, a visit here will provide a different perspective of Jewish persecution. You will walk where your ancestors walked hundreds of years ago. You will see many of the exact same things that they saw whether they stayed in the ghetto by choice or by force. A visit to Venice will be memorable for so many reasons. Not the least of which will be a visit to the Ghetto Nuova.